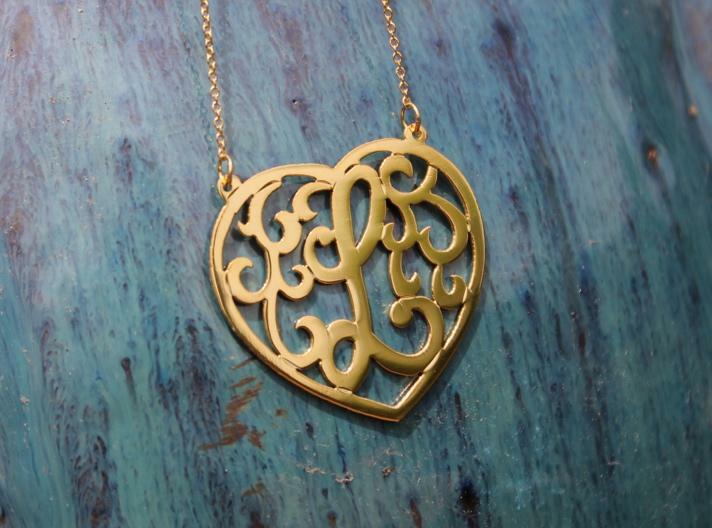 This Monogrammed Heart Pendant is one of our favorite gift items to show love and devotion to that special someone. 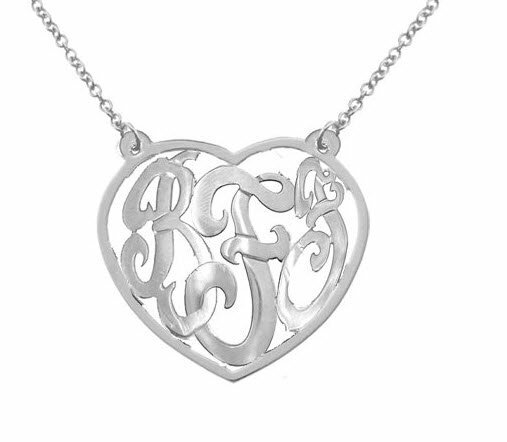 The perfect gift for Mom or a new bride, our monogrammed Heart Pendant truly says "I love you!" Offered in sterling silver, gold plated or rose gold plated. Available in two sizes: Choose our small size at 7/8" or our larger size at 1-1/2". Your necklace will come wrapped in a beautiful box ready to give! 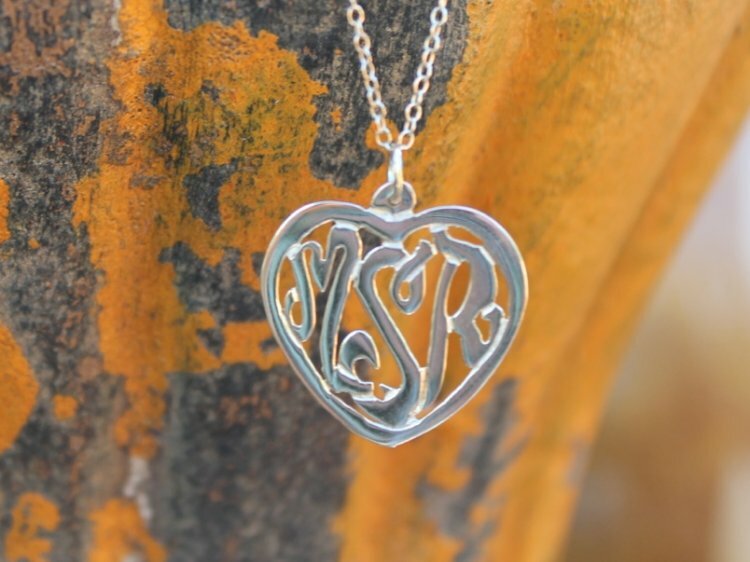 We do offer this necklace in a single letter. Please notice the single letter L with swirls is the cut for a single letter monogram. We can do this in three letter monogram. Please choose a size for your pendant.